The Boys & Girls Club Needs Our Help! 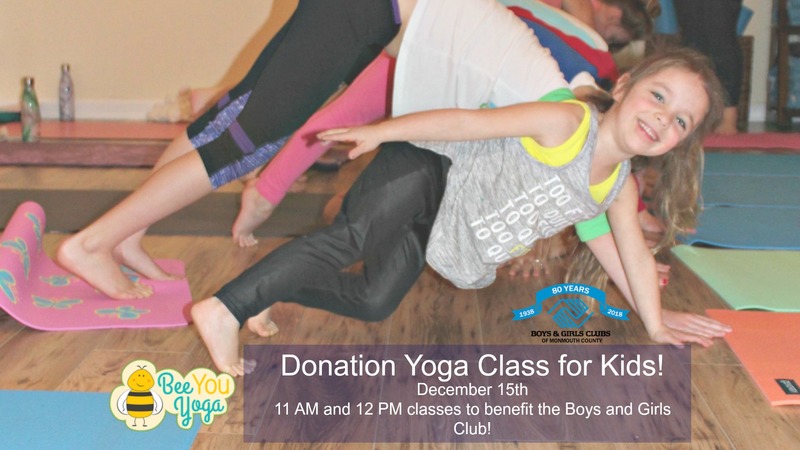 Join us on December 15, 2018, for two completely donation-based kids classes. This is the perfect way to dive into the holiday season and make it about giving, gratitude, connection, creativity, and service. And now, for the special parental news! You can drop the kids off for the 11:00 AM class at Bee You Yoga and head across the street for you own yoga class at Xen Strength Yoga located at 75 Main Street. 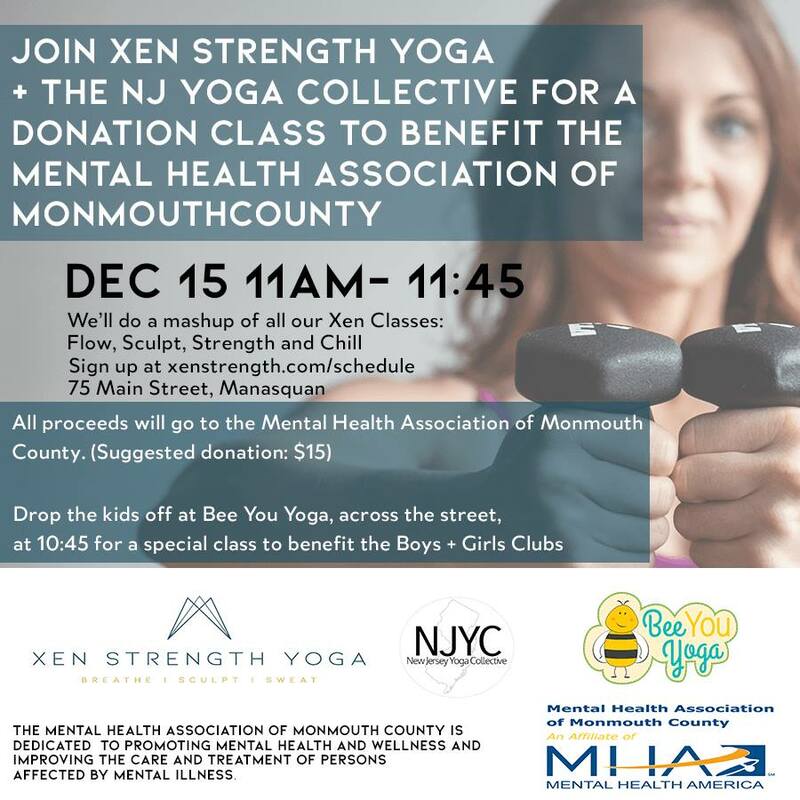 Xen Strength is also donating their time/space and yoga expertise for a great cause: the Mental Health Association of Monmouth County. If you want to attend the Xen Strength class, plan on dropping your little ones off at 10:45 AM. And please register in advance – this class will fill up!